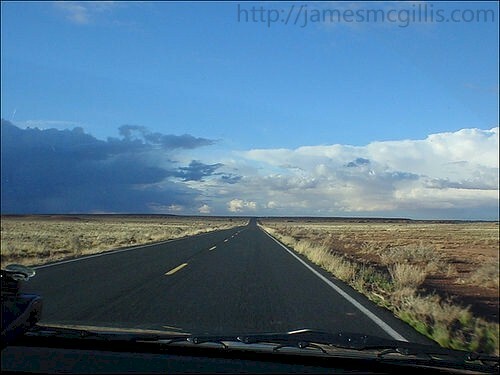 "Wrenched - A Feature Documentary"
On May 14, 2013, I drove from Kingman, Arizona to Winslow, via Interstate I-40 and a few back roads. Along the way, I stopped in Flagstaff to visit with Ms. Kristi Frazier, the Producer of ML Lincoln Films’ “Wrenched – The Movie”, subtitled “How Edward Abbey lit the flame of environmental activism and gave the movement its soul”. In late 2012, when Kristi Frazier first contacted me about my writing and the movie, I became interested in the project. Having written about Edward Abbey in various articles over the years, I wondered how ML Lincoln planned to treat Abbey’s legacy. Even twenty-four years after his passing, a documentary about Edward Abbey and the environmental activist movement he helped to found invited controversy. 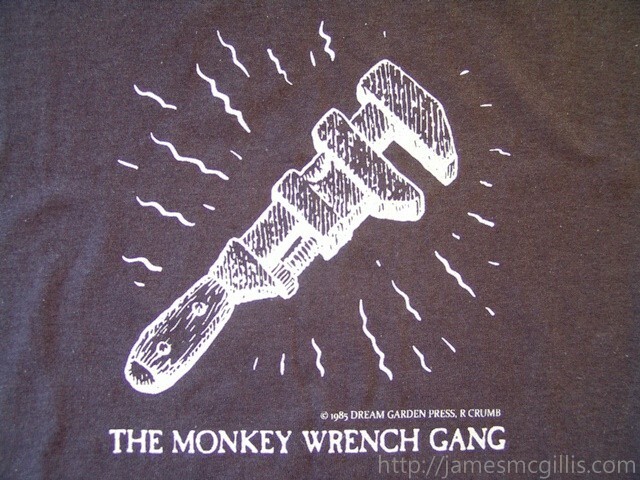 When the original trailer for the movie hinted at the need for Monkey Wrench Gang-style physical intervention against “the machine”, I was concerned. Blowing up a coal train or pouring Karo Syrup in the fuel tank of a bulldozer made for good fiction, but not for responsible environmentalism or good politics in the 2010’s. In my own way, I set about subverting the movie’s apparent promotion of environmental insurrection. To me, there was already too much violence and meaningless destruction of property in this world. No responsible person or film should advocate for more of the same. My way of attempting to turn that tide, if only in the film, was to write. 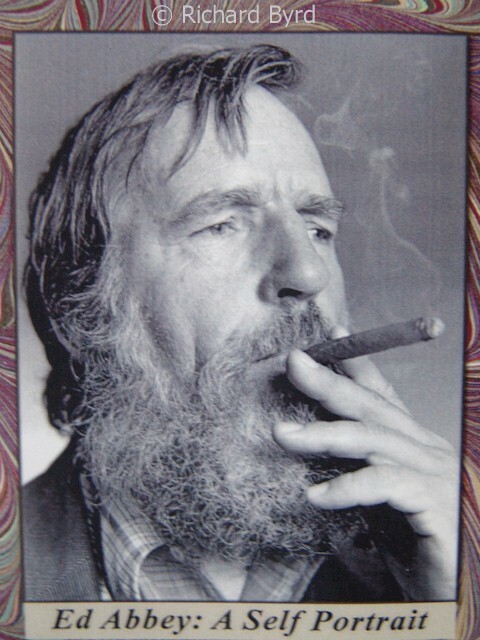 My subject was Edward Abbey, as I saw him in life and channeled him in his current non-physical state. 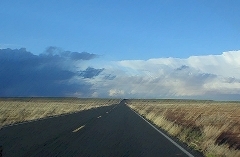 Almost before I knew it, I had published four new articles about Edward Abbey. In life, he was famous for his passions, including an unbridled desire to blow up Glen Canyon Dam, thus releasing its water into the Colorado River. Years ago, I had walked with the Spirit of Edward Abbey at Navajo National Monument, Arizona. At the end of our walk, I realized that death had released the Spirit of Edward Abbey from his famous crankiness. Who knows if my new articles had any influence on the filmmakers or the film? During my meeting with Kristi Frazier, she indicated that all of the environmental fervor was still in the film, but that it would not be a call to arms against developers or mineral extraction. I was pleased to hear that a new trailer for “Wrenched – The Movie” was coming in late May 2013. I just finished watching that new trailer and afterward, breathed a sigh of relief. None other than Robert Redford makes a brief appearance in the trailer, saying, “It was the very beginning of an environmental movement, but it belonged to a certain caste of people that the other people saw as threatening”. Activism always threatens some people, but it is often necessary in order to enhance public awareness. I do not know if Robert Redford’s appearance in the movie trailer indicates that there will be a place for “Wrenched – The Movie” at the 2014 Sundance Film Festival, but I hope so. 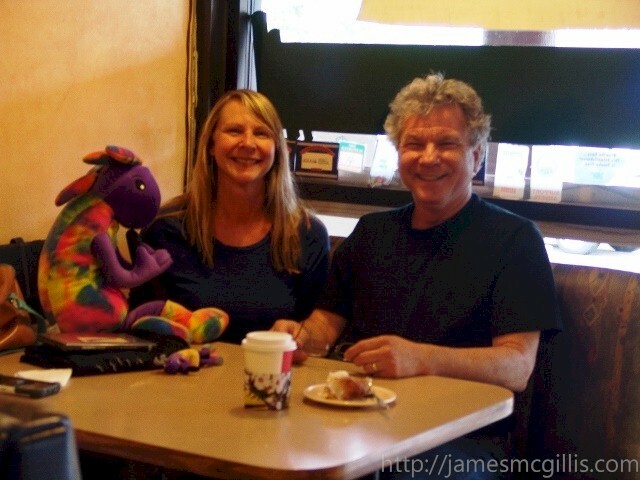 Over the years, in this blog I have singled out only three people for a “World Citizen Award”. In 2008, I praised Tom Moody and his wife, the late Joan Moody, who together protected Namenalala Island in Fiji from fishing and over-development. In 2011, I praised Kathy Hemenway for being first to identify the environmental risks of potash mining in the Holbrook Basin, Arizona. In conjunction with ML Lincoln of ML Lincoln Films, Kristi Frazier has spent over three years of her professional life shepherding “Wrenched – The Movie” toward its expected release in early 2014. When we think of a movie producer, we often think of some bigwig mogul smoking a cigar at a Hollywood studio. Instead, Kristi Frazier, a married mother of three balances work and family in Flagstaff, Arizona. Without her tireless dedication to a complex task, I doubt that ML Lincoln’s vision of the Spirit of Edward Abbey would ever make it to the screen. 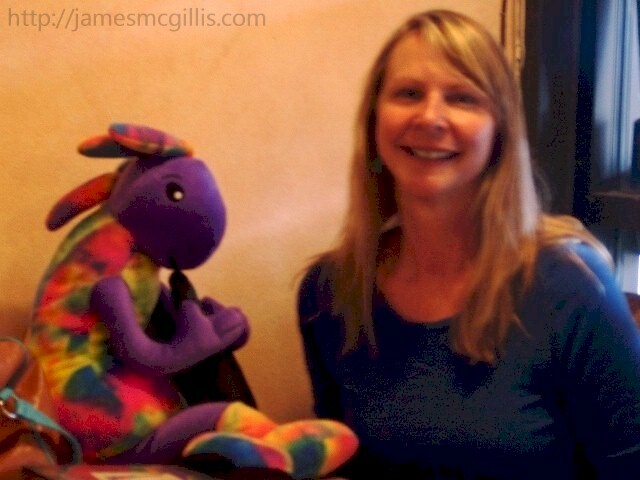 In anticipation that “Wrenched – The Movie” will soon receive widespread theatrical release and critical acclaim, Plush Kokopelli and I recognize Ms. Kristi Frazier as recipient of only the third ever “World Citizen Award”. Congratulations to Kristi Frazier.